My son Alex no longer lives at home. But, my Chihuahua Chase does. I never know what I’m going to come home to when it’s necessary to leave him alone for the day. Did I mention he happens to be going through his “terrible twos” stage? I’ve never had a dog that loves to chew as much as he does. The stories I could tell! 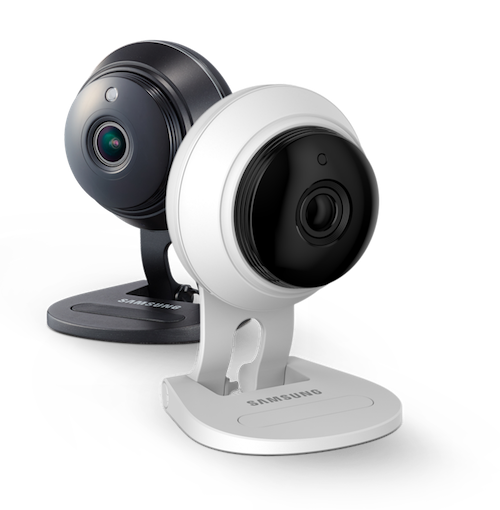 Samsung’s SmartCam HD Plus to the rescue! It looks like the perfect solution to keep track of him while I’m away. Not only can I keep track of his sneaky behaviors, but I can also monitor to make sure he is safe and secure. The camera is loaded with great features and is available at a very affordable price. As you can probably guess, you need to download an app to use the camera virtually. It’s available at no charge for both Android and iOS users. That means I can watch a live video stream of Chase on my brand-new cell phone. How cool is that? This nifty little camera, which is available in black or white, doesn’t take up much space. It fits nicely on any small space, such as on my TV stand next to the TV. Since Chase spends a lot of time in the living room (at least when someone is home) it seems like the perfect location. 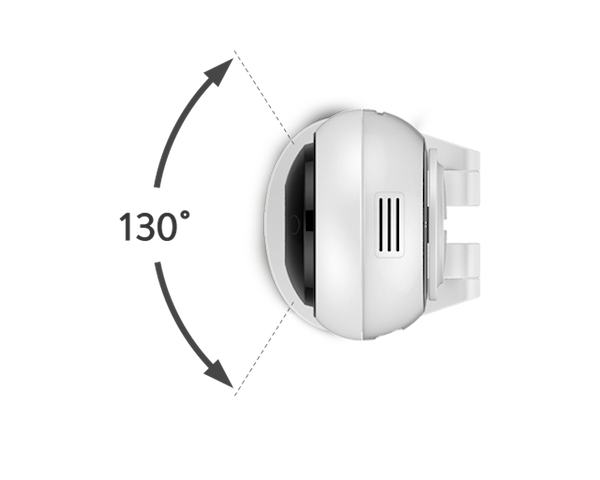 I love the fact that the Samsung SmartCam HD Plus features a 130° field of view, 4x digital zoom and pan/tilt ability. 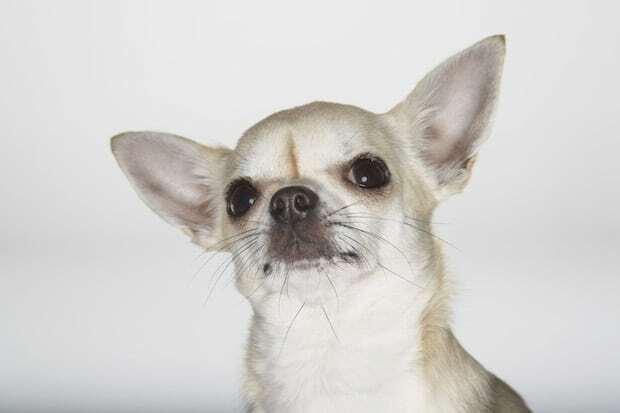 Chase would need to be the world’s sneakiest Chihuahua to get something past this camera lens. Night vision is another great feature. Even if the room is pitch black the camera provides you with a clear picture of what is happening in the room. Motion detection is a must with any security camera. This one allows you to choose up to three different areas of your room to monitor… think windows and doors. If sound and/or movement is detected, you’ll be the first to know. 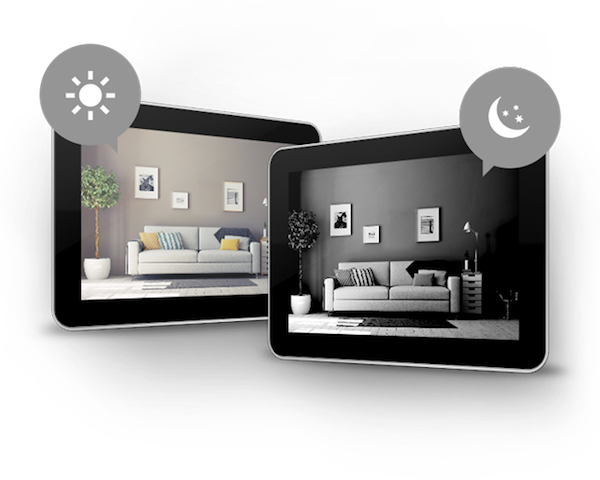 You have the option of recording continuously or when movement is detected. It’s easy to save the video on a micro SD card, which must be purchased separately. The SmartCam HD, by Samsung, comes with a built-in speaker and mic. In the event I needed to speak with Chase, while I am away, all I have to do is press the mic button on the app. And, yes, I talk to my dog more than I care to admit. He’s not just a d-o-g. He’s a little person with fur! 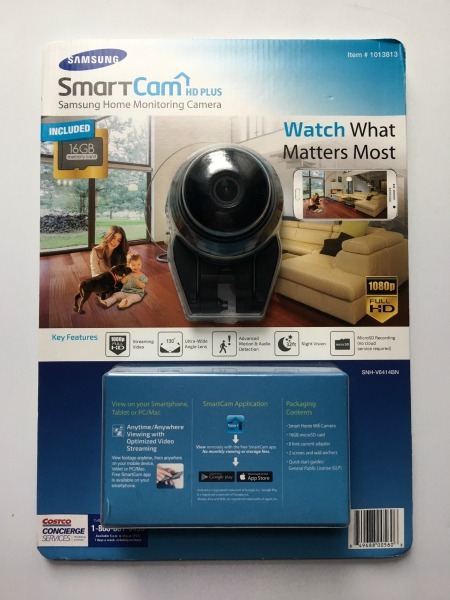 The Samsung SmartCam HD Plus is a great option for any pet owner. The peace of mind I get knowing everything and everyone is safe at home is well worth the investment. After all, you can never be too careful when it comes to the people and spoiled Chihuahua you love! Enter our reader giveaway HERE! I like the microphone option. I would like this so I can keep an eye on my cats. This is really a great idea! My mom could really use this for her new pup! I’d love it to keep an eye on my house and my town dogs while we are away, it would provide some peace of mind! I would love to be able to see what Sammi does during the day when we aren’t home! I love the built-in speaker and mic feature! I like the microphone option and the large viewing angle, I would use it to keep an eye on elderly family members when I am away. It would be very useful. The night vision and connectivity are major pluses. I would use to monitor my home while vacationing. I like the built-in speaker and mic. I would use this to keep tabs on our two dogs and cat (one of the dogs is a mixed pomchi chihuahua and I’m not sure they ever grow out of the terrible twos since mine is 4). i love that the app is virtually free for iOS users, and I love that it has night vision capabilities. My husband is always on the road and he has been wanting a dash cam. I would love to win him one. Great way to keep an eye on the house while i’m gone. I would use it for home security. I like the resolution. My house has been robbed 3 times, ugh! I would like to prevent a 4th. 🙂 Thank you. 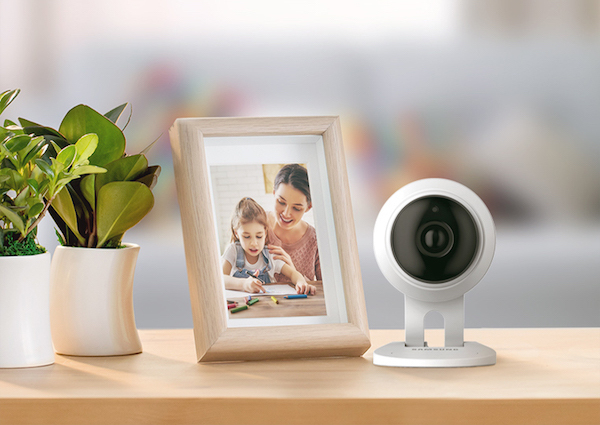 I would love to use it to keep an eye on my son after school while I’m still at work ! I love your blog so much, thank you for everything!! In my home to watch the dogs. I like the Advanced Motion & Audio Detection. I’d use this to keep an eye on the house while I am away. I worry about my older dog. This would be great to make sure that he is ok when I’m at work. I love the ability for the advanced motion and the audio. We would like to check on our older cat, who sometimes tries to jump like she used to when younger. This would be good for peace of mind when we’re at work. We have some sketchy characters living across the street. I’d love to have this so I can monitor my house when we go on vacation. WE WOULD LOVE TO KEEP AN EYE ON THE KIDS AFTERSCHOOL AND OUR THREE CATS, WHILE THEY TERRORIZE OUR HOUSE! WE LOVE THE MICROPHONE FEATURE! I have two little fur babies at home and I would love to be able check on them ….also we have been broken into in the past. Thanks for the giveaway! I like that it’s 1080p quality. Would use as a home security for our home. Like the advanced audio. We go away a lot on weekends so this would be a great way to keep an eye on things! So I can monitor our house while we are away. I think the night vision capability could come in handy! I like the night vision best. Love that it has night vision! We have a huge Great Dane we’d love to keep an eye on! I live alone so I would love to have this camera to keep an eye on my home and dog when I am gone. I love the 130-Degree Ultra-Wide Viewing Angle. This would really be nice to be able to monitor my house when I’m away. It is good to keep an eye on my pets when we are not home as well as kids when people are watching them. I really like the microphone option because my dog gets anxious sometimes. I think this would really help calm her down. What an awesome device. This sounds silly, but I totally have 7 pets. 1 parrot,1 Syrian Hamster, a precious 75lb dog and 4 cats. This could totally help me keep an eye on them and my home while I’m away! I would use this to monitor my dogs while I am away. I would love to be able to watch my pets when i am not home. Sometimes they get hyper if no one is around. I would like to keep an eye on my two dogs. I like the night vision! I would like to use it to feel like my house is more secured when I’m away. I would use this for night hiking, that’s why i like the night vision feature. Thanks for the chance. It would be fun to have a dash cam and watch the world maniacs driving around us all. My favorite feature is the two way talk! It would be nice to hear what’s going on and have the ability to talk to comfort the animals or whatever is needed. I would like to use it to watch what the pets are up to when I am gone as well as also point it out toward my deck to catch my creepy neighbor trying to get into my unit. My father in law moved in from his stroke. I would love to have it to be able to check in on him while we have to be out. I love the night vision. I like the camera resolution. This would be great to keep a good eye on Jasper when have to leave. He’s such a good cat though never gets into anything but still it would comfort me to know that he is ok. I love the microphone option, how cute would that be to talk to my cat when I am away from home! I would like to see which of our three big dogs destroys stuff while we are out. They all look innocent but I know at least one is misbehaving! So I can watch my front door so no one steals my packages! I’d use it for home security and to see what my dogs do during the day! This looks awesome, and I would love to use it for my cats! I would love to have this to see what my dog does when we are away. I want to set this camera up to see who’s been coming into my back yard and messing with my gates. Thanks for the chance. the built-in speaker and mic. I’d use it in our entry way. It has all the newest upgrades and mine is so old now. I even tried to do a survey today and it said my browser was too old and would not let me take it. I’d keep an eye on my 3 Doxies they’re very naughty! I love this! I would love to watch my puppy while working! I want to know what the bumps in the night are! I like that it has a motion detector built in. I like that it has motion detection. I would like to be able to keep an eye on what is going on at home while I am away or at work. We have 3 dogs & 2 cats that come in and out all day. I would love to see what they are up to when we are not home! I would love to keep an eye on our 3 dogs while at work! I like that I can keep an eye on my home in live time. It helps to know what everyone is doing. I would use this to keep an eye on my kids. I would use this in my cat shelter to keep an eye on them. I would use for home security. I would love to see how and what my dogs are doing when I am away. I would use it in my living room to see what my dog is up to during the day. I would like to use this to keep an eye on my 2 dogs and to see if they are getting into any mischief. I like the Night Vision Up to 32 feet. We were robbed several years ago and I never feel safe now. This sure would help. We could see what our dog is doing also. Thanks for the chance! I love the microphone and the wide view. I’d love to watch what he does in the house all day and also allow him to hear my voice. I worry that he is lonely. I would love to have it to keep an eye on the little one when I am in another room. I love the Advanced Motion & Audio Detection. My daughter is of the age where she can start staying home alone and this would definitely help to ease my mind about leaving her after school for a bit! I would like to keep an eye on my house! I like the motion and sound detection! I like the idea that I can keep an eye on my house from anywhere. I would install this by my back door to see what happens at night in my yard. I REALLY need a new baby monitor. This would be so perfect! I def need some extra security measures around my house! i’d love to see what my pets are up to all day! I like the 1080p Full HD Streaming and Recording. I like the 130-Degree Ultra-Wide Viewing Angle. I like that it has a microphone. This way I could talk to my kitties when im not at home. I would like to win so i can see what my guys are up to during the day. I would love to se what my little monsters (dogs) do when I am away. It will also help me get through my long shifts to know they are A okay! I would love to use it to keep an eye on the baby sitter and the kids! I love that it is motion detection and great resolution. I just got a restraining order on my husband. I would like this to make sure he doesn’t come back. I love that I can keep an eye on our home when I am not there. It gives me a sense of peace of mind about security. I would love this to keep an eye on my cat especially when i’m working a few 12 hours shifts in a row!! I use the wide viewing area to keep an eye on my dogs. I have three bulldogs, one is a pup so I would love to keep an eye on them while at work. We would use it to monitor a detached garage !!! I’d love it to keep an eye on everything while I am out. I would use it for security when I am not home. I like the wide viewing angle the lens covers. I would like to use the like to use the Samsung SmartCam HD Plus in my house because of the security of knowing my pup is safe while out and about.